Australian Region 4 DVD. 3 movie collection. New and sealed. 2007 Zac Efron JOHN TRAVOLTA. 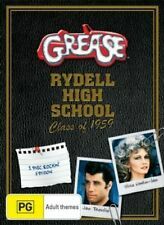 Everyone in the cast gives able performances; even Travolta who, in drag and a fat suit, seems at first off-putting, beginning a one-joke "hey I'm a man in a dress!". performance, quickly grows into his own as Edna does, becoming the most crowd-pleasing character by the film's end. 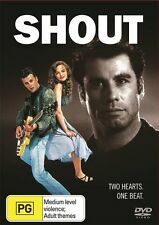 SHOUT DVD 1991 = JOHN TRAVOLTA = PAL 4 = SEALED = FREE POST. SEE SCAN = COLOR, 91 mins=. 5 out of 5 stars - SHOUT DVD 1991 = JOHN TRAVOLTA = PAL 4 = SEALED = FREE POST. 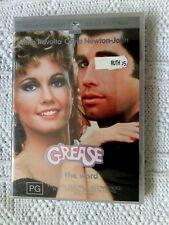 1 product rating1 product ratings - SHOUT DVD 1991 = JOHN TRAVOLTA = PAL 4 = SEALED = FREE POST. DVD's will only play in players for this region or multi region players. CD’s & DVD’s manufactured in Australia are often not plastic sealed or shrink wrapped. Product Compatibility. § Australian Money Order. If the DVD is from another region, it will be clearly advised above on the first line and in the Title Bar. I.e. Region 1 or Region 2. No exceptions. Staying Alive. From Over.". 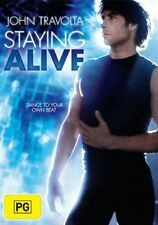 Directed and co-written by another film superstar, Sylvester Stallone, Staying Alive. Now he's strutting. with the power of five unforgettable Bee Gees songs plus Frank Stallone's chart topping hit, "Far. Actors in this film include: John Travolta. 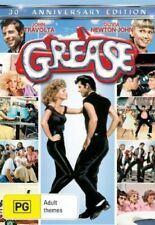 D.V.D MOVIE DB592 GREASE : JOHN TRAVOLTA, OLIVIA NEWTON - JOHN DVD. txzj pxzj1024 txzj111. Are We There Yet?. (DVD, 2005) Ice Cube, Nia Long. If the DVD is from another region, it will be clearly advised above on the first line and in the Title Bar. I.e. Region 1 or Region 2. No exceptions. Grease. Is The Word [DVD 2002] featuring John Travolta Olivia Newton-John. 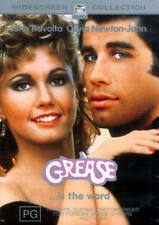 Grease is still the word! DVD Compatibility: All our DVDs are usually in PAL format and Region 4/R4 and will work in all Australian & New Zealand DVD players. This way we know the item has been received and you're happy with the service. SHOUT (1991) - JOHN TRAVOLTA, HEATHER GRAHAM, JAMIE WALTERS. This DVD is region 4, suitable for Australia/New Zealand DVD players.